My horse and I were leaving the arena after my test, reins long and my trademark competition smile: Lips stuck on my gums above my teeth. I had a great horse. The comment was made by a woman who felt no sympathy at all for that less-than-flawless half pass. We weren’t friends really but she smiled. She might not have shoved herself through the hoops required to show her horse and open herself up to the judgment of others, but she wanted me to know she was capable of recognizing wrong when she saw it. The first year I showed, when my horse spooked at the letters and ran off with me in each test, she never passed a word my way. But now our hard work was paying off and she developed the habit of letting me know our shortcomings from her enlightened position on the rail. She didn’t show because she could never find a horse good enough. No hard feelings, I was living my dream. I wanted to be here since watching the rich kids in 4-H at the county fair. It was before I knew there were kids even richer than those kids. Some riders say they hate the show world, that all competition is wicked and evil. They will never show. Fair enough, it isn’t for everyone. The rant still rings of judgment. Reminder: Pre-judging isn’t the same thing as not judging. Besides, you can be just as judgmental and not even have to leave the house. It’s open season on riding videos on YouTube. We have free speech, anyone can comment. If we aren’t face to face, is there any reason to hold your tongue? Threaten bodily harm if you want. The truth is that if we didn’t even have horses, we would be still judging other people’s appearance, intelligence, lifestyle. It’s human nature to notice. It’s how we learn and grow our perceptions. Most of all, in the process of judging others, we judge ourselves. Maybe it’s the need to label things as right or wrong that is the most damaging. Disclaimer: I’m no angel. I have all kinds of judgement. It’s judgement that I even remember this woman’s comment from the rail 20 years ago. Beyond that, my work is about judgement. Giving a riding lesson begins with an assessment of a horse and rider, balancing clarity and honesty with as much understanding and kindness as possible. It would be easier to yell and name-call but I’ve had lessons like that and I notice I didn’t learn much. Competing your horse is about being your best self when it matters. It’s hard. It takes discipline. It builds character. Maybe the best reason to show is that it changes the view from the rail. 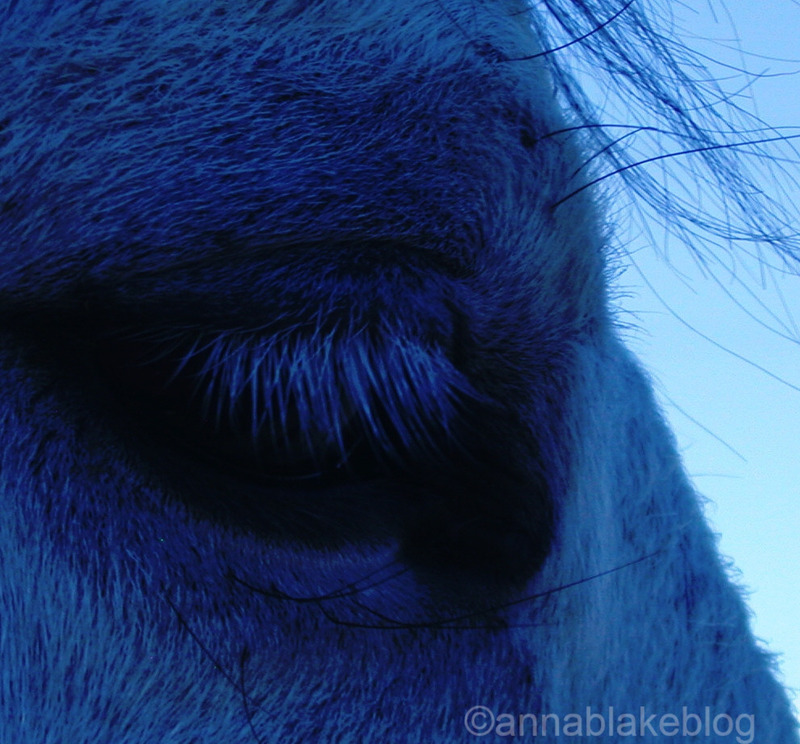 It changes who you are with your horse and it gives you a chance to change your view of others. Is re-compassionize a word? There’s an old adage -if you can’t say something nice, don’t say anything at all. I go with that only if you are in such a rage that your eye is twitching and you spit when you speak. Short of that level of anger, I disagree. It makes us passive aggressive and we languish, lifting ourselves up by standing on others. Yes, this is a parable. There are bigger things in the world than showing horses. It’s been a mean summer, stressful with lots of challenge and loss. And entirely too many harsh armchair judgements on anyone or anything that falls short, touted by pundits who have nothing on the line. It makes me tired. It will always be easier to shoot down someone else than find the strength to stand up and be vulnerable. My first riding mentor was also a judge, and she was very clear. She said it was a cheap shot to look for faults. Any idiot could pick them out, it took no special perception to tell which horse was struggling. In the end, you would be left mitigating failures and giving the blue ribbon to the least bad. She encouraged me to look for what I liked and affirm that. Judge the best in the ride, let your eye rest there and ignore the everything else. Being critical of others makes us earthbound with self-loathing judgement, thinly veiled in our criticism of others. And focusing on the worst just breeds more. How does that feel? Maybe it’s time to sit up straight. Judgement is really a vote of how you see the world; how you want the world to be. The most votes win and you can vote as often as you like. Consider what’s at stake. Sometimes in the dark, rising up and casting an unlikely vote can change everything. “It will always be easier to shoot down someone else than find the strength to stand up and be vulnerable.” Wow! You nailed it, Anna! Thank you for making me think hard this rainy Friday morning. my trademark competition smile: Lips stuck on my gums above my teeth. Thanks. They get stuck there in lessons too. Big teeth! Leslie Desmond said something very wisely in her one of her clinics. There was a female rider, unsure of herself and the horse. Leslie pointed out how well both of them had done a certain task but the rider didn’t react. Leslie followed up on it and the rider admitted that she could only hear comments on her failure, but not the praise. Leslie made clear to her that it was vital for her and her horse that she’d change her focus. Cause the positive remarks where in the end what would get her where she wanted to. Leslie also pointed out that seeing only the negative side, the rider wasn’t able to hear how hard her horse was trying. Her low self-esteem was in the way of learning. That was a big lesson for me too. Love it. I use a tablet to video clients during lessons but at first I worried that people would judge themselves too harshly. Most say they look better than they thought. Who is the hard judge?? We should be as kind to ourselves as we are to our horses! I read a lot of dressage forums and I’ve been irritated by some of the classical dressage fanatics that rip on a competition dressage less than ideal Piaffe or not quite right Half-Pass. For the longest time I couldn’t figure out why it bothered me so much. But then I realized because I feel like they don’t understand how freaking difficult it is to attain perfection in a new, high-stress, environment and do so exactly now (whether you’re ready or not). Anyone who’s been there knows how hard it is. Anyway, I just wanted to say that you wrote this so eloquently. Great post! Thank you, and I agree. Having the happy ride you have at home, away at a show with a judge watching, means the partnership is working. Fantastic post, and one that is very relevant now and probably always will be. “No one knows what we’re for, only what we’re against, when we judge the wounded” (Casting Crowns, “Jesus, Friend of Sinners”). All too often judgment is, in a way, well-meaning; we are very quick to judge each other’s handling of a horse in terms of the horse’s welfare. But judgment doesn’t help the horse and it sure doesn’t help the person. I think it’s time to realise that we can love both horses *and* people. Recently had a similar experience with a comment from the rail as I exited at A “oh too bad about the change, it WAS going so well.” This after my my first recognized ride at fourth level on my beautiful new gelding. Yes there was a mistake (or two!) but I was thrilled and grateful just to be in that arena showing my wonder horse; I shrugged it off. The soothing balm later came when my score posted in the deep sixties. Let the rail sitters have their smug comments I’m simply thankful for the opportunity to show my horse. Yes, you definitely had the best seat in the place! I’m not a good rider and I do not like going too fast, but my horse and I compete a local versatility competitions anyway. We compete against what we did last time, not the others. We’ll never be the fastest or the best but in the past 4 years we have improved. Our relationship and communication has grown strong, I believe, as a result. The way the versatility competitions often work at the lowest level is that riders can pay for as many runs as they want. A few weeks ago the first time every, we were in the lead as the event winded down. Another competitor wanted the $6 trophy so bad that she paid for 5 extra runs to beat our time. I didn’t stay to watch. It didn’t matter. My guy and I did what we set up to do that day. I was proud of him. I didn’t need a $6 trophy to prove that. Sounds like the perfect show and you left with the trophy after all. Thanks for this comment, I think this is how it is supposed to work. Big win indeed! Thanks for reading, I appreciate your comment. Who knows how to do does, who doesn’t – judges 🙂 Caught myself feeling the same, when people “helping” by noticing others’ mistakes afterwards. glad i’m not alone.